This week I will be sharing different gift guides for Christmas. To start with I am sharing some gift ideas for bloggers. As a blogger myself I do think that non-bloggers don't understand bloggers very well. They don't understand why we like certain things and do certain things. 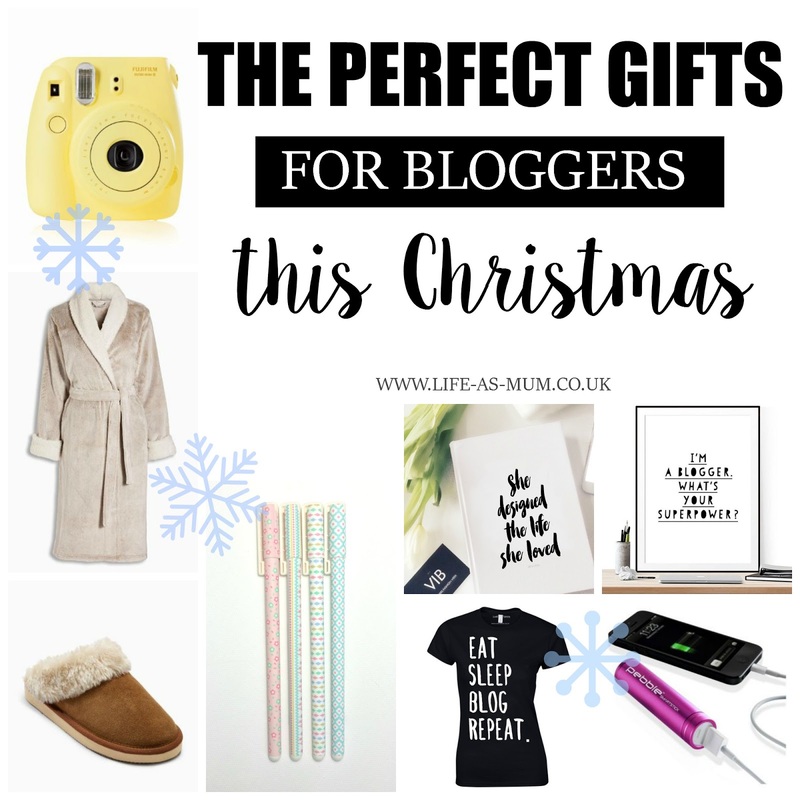 I think any blogger, full-time, part-time, hobby blogger or a newbie blogger will love these gifts. The Bloggers Planner - Any kind of blogger will really appreciate this bloggers planner. Every blogger needs a planner to be kind-of-organised don't they? This planner In particular is the planner that most bloggers have and I have heard many good things about it. You can get this planner in paper back and hard back which is great! Pack of Pens - The amount of pens bloggers go through is unbelievable! Especially if they are like me... I can buy a full pack of pens and then by the end of the week they have all disappeared, maybe I can find one but the rest? God knows where they've gone to. Fujifilm Instax Mini - I haven't got one of these myself but I would love one! Every blogger takes a ridiculous amount of photos daily. This camera would be great for any blogger. Dressing gown - Although most bloggers try and get their work done in their office (if they have one) or on a table somewhere, we do like to lie in bed or cosy up on the sofa to do our work too. A cosy dressing gown would be perfect. Slippers - Of course, bloggers work from home, so we do get the chance to be extra comfy. Slippers are a must, especially on my list. Lush Blogger T-shirt - How cool is this t-shirt? Whether for day wear our lounge wear, this t-shirt is perfect for any blogger, parenting, fashion, beauty, any kind. At just a great price of £14.99 you can't go wrong. Business Cards - You don't have to design them but you could give a gift voucher or money towards some business cards. Business cards are great for any blogger and especially bloggers who attend events. Prints For Bloggers - If you know a blogger who has an office or a 'blogging space' then some inspirational blogging prints would be perfect. There are many prints you can find online and some you could maybe do yourself if you're creative. Power Battery Charger - Every blogger uses their phone just like everybody else - but maybe a bit more often. We often need to check our social media pages and accounts and check up on the blog now and then whilst we are out and about. Also don't forget about the amount of photos we take with our phones too. Ooh I shouldn't have read this, I didn't know there was such a thing as a blogger's planner. And I love the t-shirt... adding both to my wishlist! Oooh, I'd love any of these. And you've reminded me I have to get some business cards made up before BML16- thanks!